One Only! 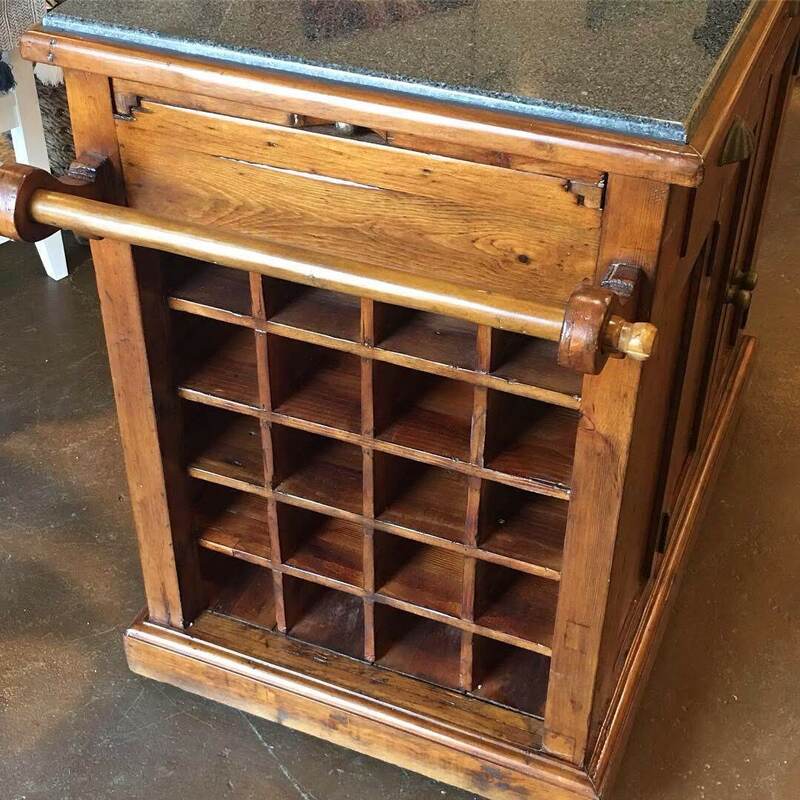 Kitchen Island w/wine rack. 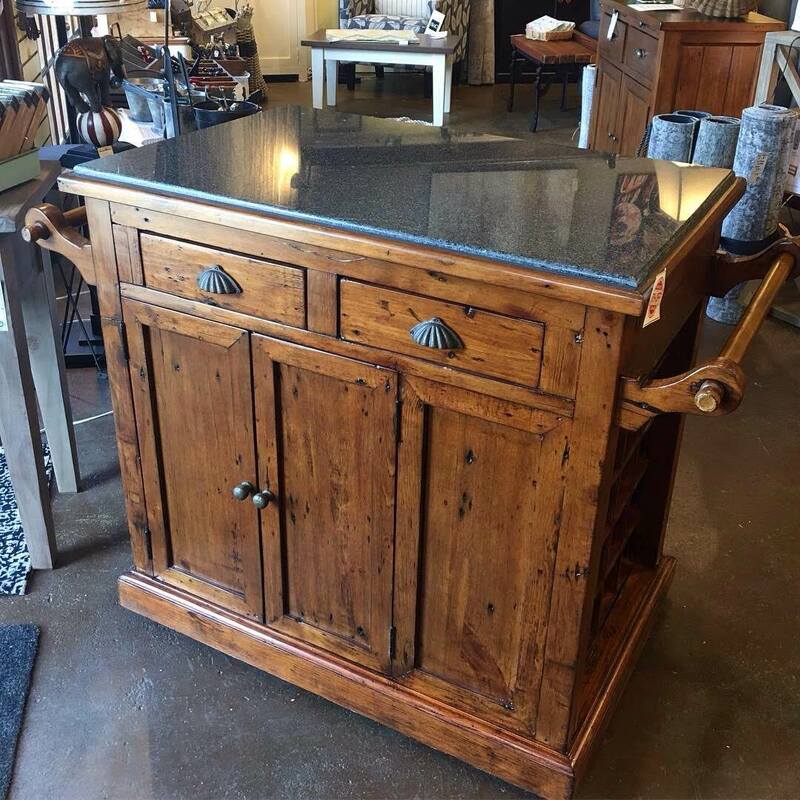 Made from reclaimed Baltic Pine this double sided island is on four wheels so that it can be moved to where it's needed most. Two doors and two drawers on each side have plenty of storage for those extra kitchen items. 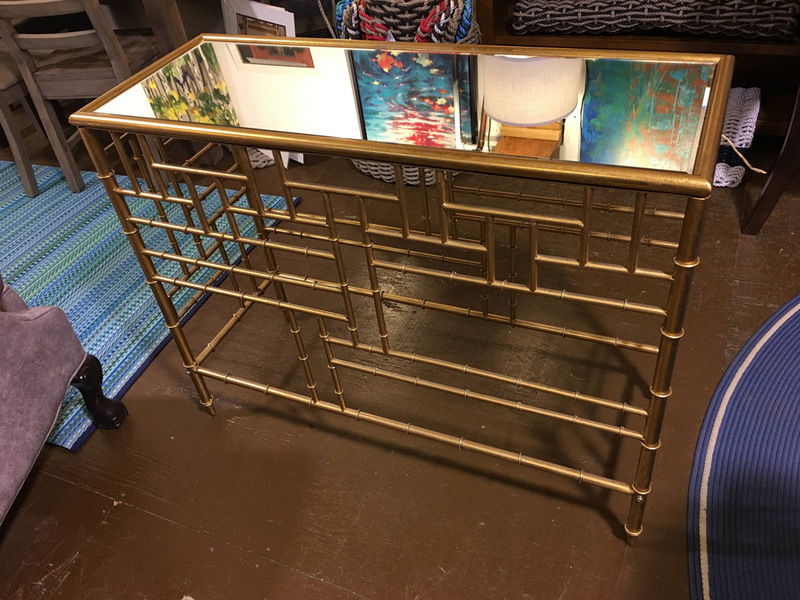 Also features aa wine rack & two pull-out extensions. This item has a crack in the granite top. 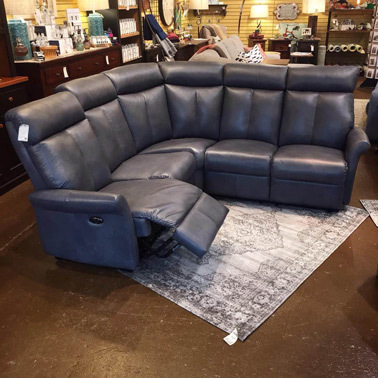 Condo Sized all leather 5 seat sectional with 3 recliners! 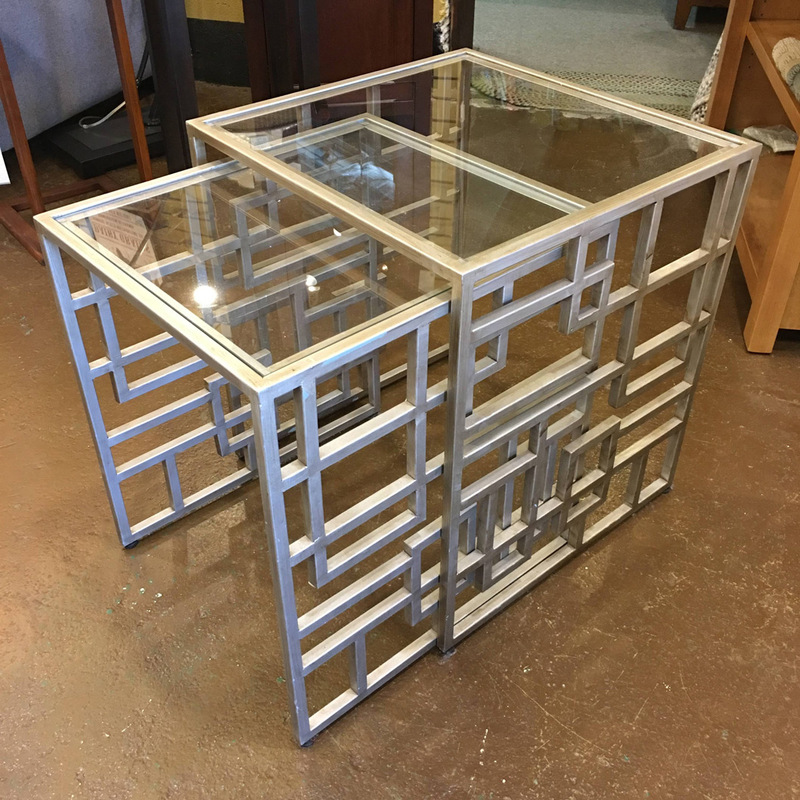 This floor model must go to make room for new stock. 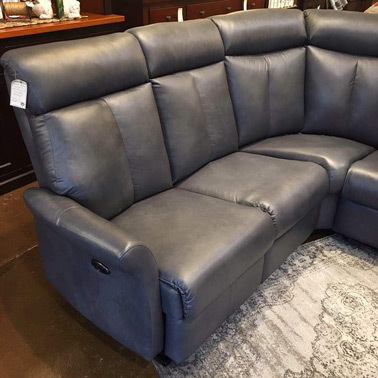 All leather, with 3 electric recliners is a great size for a tight space. Made in Canada! 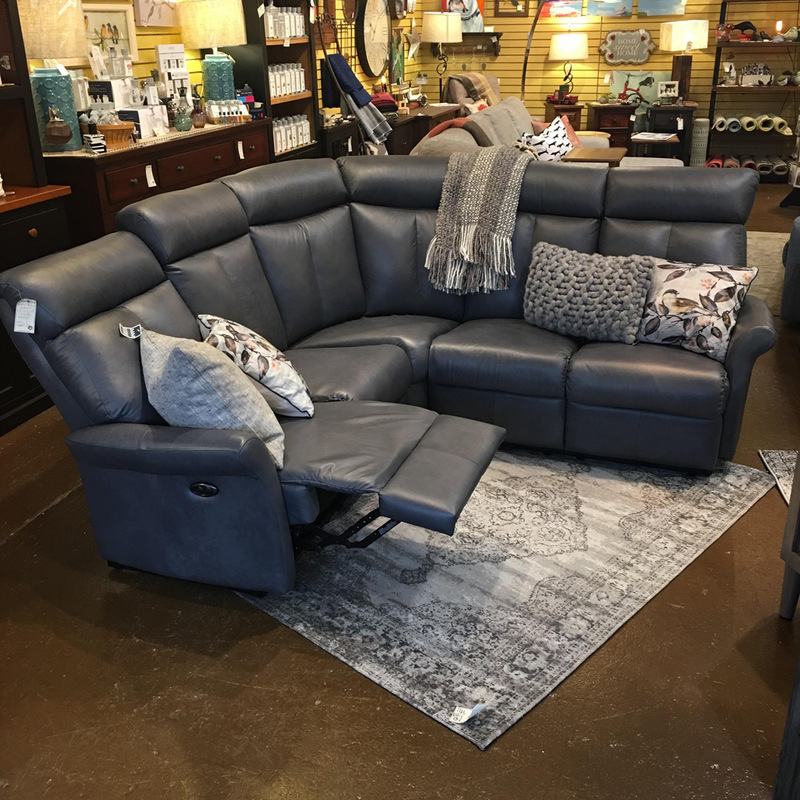 Currently on display, come in and take a seat. 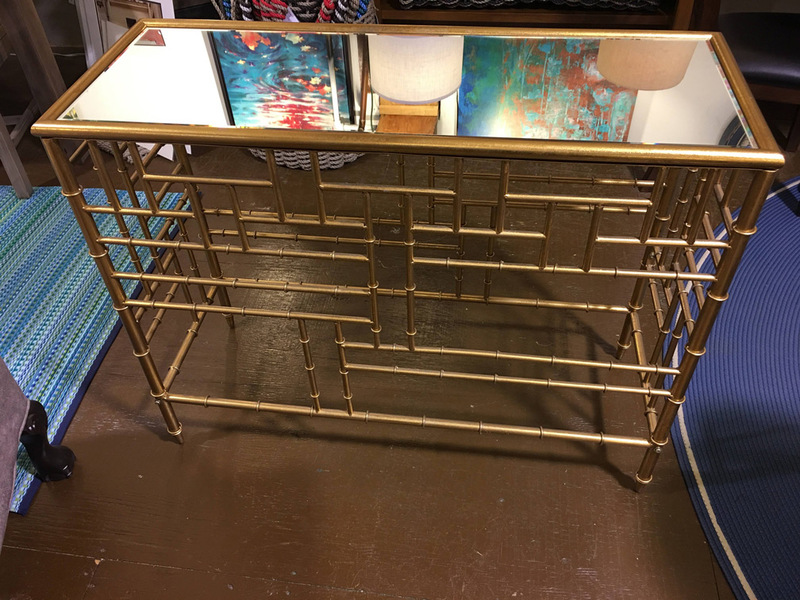 This bamboo styled metal console table is a great fit for your entrance hall. 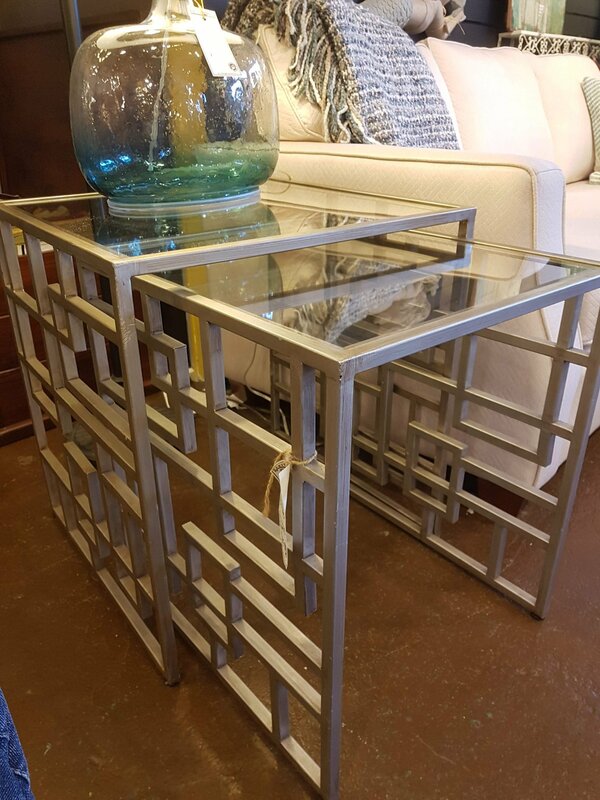 A mirrored top and beautiful baroque gold finish make this unique table a great accent piece. 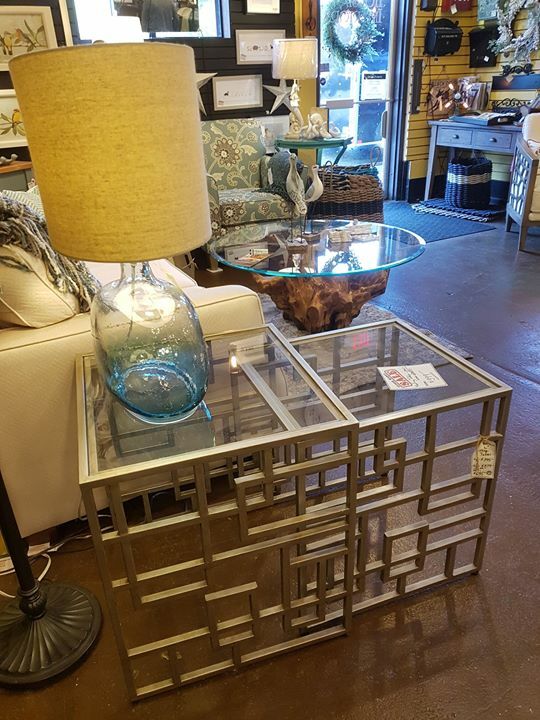 Floor model only -- priced to sell!